Welcome to the Better Digital Photo Tips resources page, a list of the photography equipment and education vendors I use, and the tools and websites I recommend for improving your skills and knowledge about digital photography. I personally use all of these photography resources myself. Some of these resources are intended for professional photographers. Just because you're only a beginner photographer or are a photo enthusiast doesn't mean you won't be interested, just realize that some of them might be overkill for you. Often you'll find more affordable options with some of the vendors I recommend. Understand that I've had a lot of experience using a large variety of sources for photography information and cameras and accessories and I've found these resources helpful for me. Your situation may be different than mine. Only take advantage of them if your interested in the photography equipment, or they will help you to improve your knowledge, skills, and the resulting photographs you take. 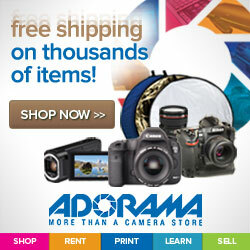 Adorama has been a dedicated retailer of cameras, photo gear, and other electronics for over 40 years. In my experience, they're prices always match other sources. 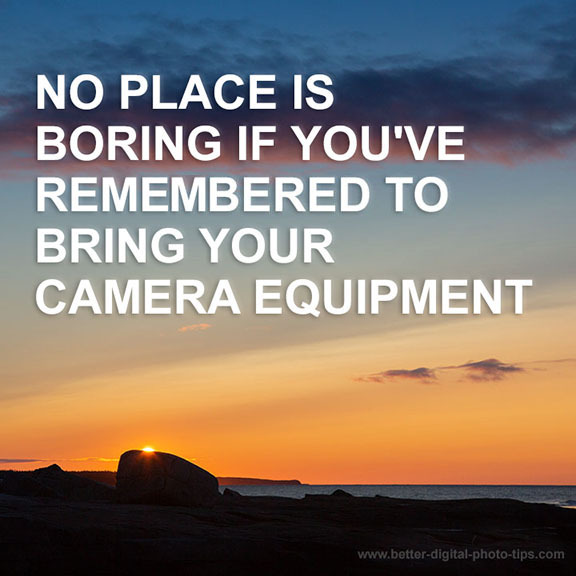 They often carry very specific photography gear that you won't find at Amazon or other massive online retailers. The most recent purchase I made from Adorama was a versatile photographer's clamp, the Wimberley Plamp II. I've been an Amazon Prime member for quite a few years. If you don't do much online shopping, this is not a good deal for you. For me, it's a great deal. I order all kinds of household, books, and personal products in addition to most of my camera accessories using the benefits of Amazon Prime. You get free two-day shipping. Prime Music includes two million songs. Prime Video means streaming movies and TV shows. You get a lot of benefits across several different platforms. I like the fast free shipping and watching the free movies more than anything else. Unfortunately, Amazon Prime recently went up in price. It's still worth it for me, because my wife and I buy household items, nutritional products, and doggie treats, in addition to photography gear, so it's a no-brainer. If you only occasionally order from Amazon, you're better off skipping the Prime Membership. I switched from shooting film to shooting digital fulltime almost 20 years ago and I've likely tried to use 6 or 7 different methods of backing up all of my photos-and other files too. None of them were automatic. My son did all the research on the many options out there and narrowed down to 3 that he recommended to me. 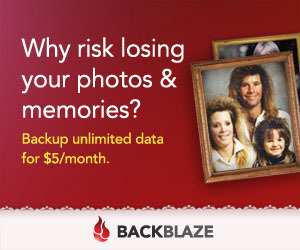 I evaluated the three of them and settled on Backblaze as my system to backup all of my images and other important documents. I can't put into words how happy I am with the choice. It was such a hassle for me to schedule my backups and then manually follow through on a weekly basis. Now, it's done automatically, continuously, in the background and I never even have to think about it-It just gets done automatically by Backblaze. Done! 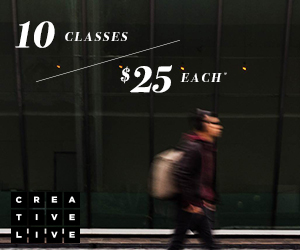 CreativeLive streams educational videos on just about any photography topic-and many others-you can think of. The best part: you can watch a lot of the material for FREE. That's right. The challenge can be to watch the free videos when they stream them. The alternative is to pay for them and get to watch them anytime it fits your fancy. I'm thrifty just like you and I've watched a lot of the free videos. ThinkTank specializes in high-end cameras bags, cases, backpacks, straps, and related gear for professionals. My most recent purchase from Thinktank was the perfectly sized airline travel bag. If you want protection, quality, and function, and you don't want to lose sight of your camera gear when you fly, you might want to check out their gear. From the Granddaddy of photography educators, Digital Photography School offers courses, Photoshop plugins, and eBooks. 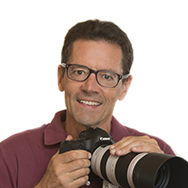 I've enjoyed many of their well written eBooks on a large variety of photography subjects. Ebay is not my number 1 source for photography anymore, but I still buy certain products here. I included it here because it might be a good place for you too. 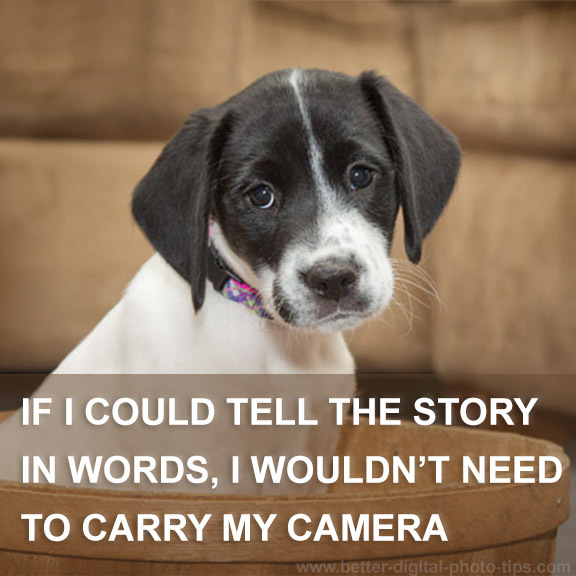 When I first started my photography business I couldn't afford new cameras, new lenses or new lighting equipment. As a matter of fact, I just purchased another Novatron light set on Ebay to use as back-up. Ebay is great for buying used camera gear. You can save quite a bit of your money by buying used instead of new camera gear. Check out the feedback of the seller before you buy. See what the return policy is for the item you're interested in. Most sellers give a full refund for 30 days-you only have you pay for return shipping. My recent searches on ebay: folding benches for group posing and a plastic spillway for my backyard pond. Surprisingly enough, my most recent ebay purchase: a capacitor for an old ceiling fan. If you really want to geek out and invest an hour or more investigating a new camera purchase, DPReview is the place to visit. I frequent quite a few different camera equipment review sites, but I always find myself using DPReview as the most valuable. Thorough and well illustrated with photos, you'll get all the technical advice you could ever ask for. Visit dpreview.com. My favorite resource to use for investigating photography gear is Amazon. I feel like I'm getting genuine reviews from regular photographers like me and you. I often-but NOT always-buy my camera accessories from Amazon, because of all the reviews they have. I hope that you find these digital photography resources as useful as I have over the past 20 years or so. Let's face it, the goal is to use the right equipment, enjoy the experience of taking photos, and getting great images in the end, right?